Recorded Live at Toyko Dome, Tokyo, Japan - March 07, 1990. Files: 28.:: Size: 820.72 MB (flac). 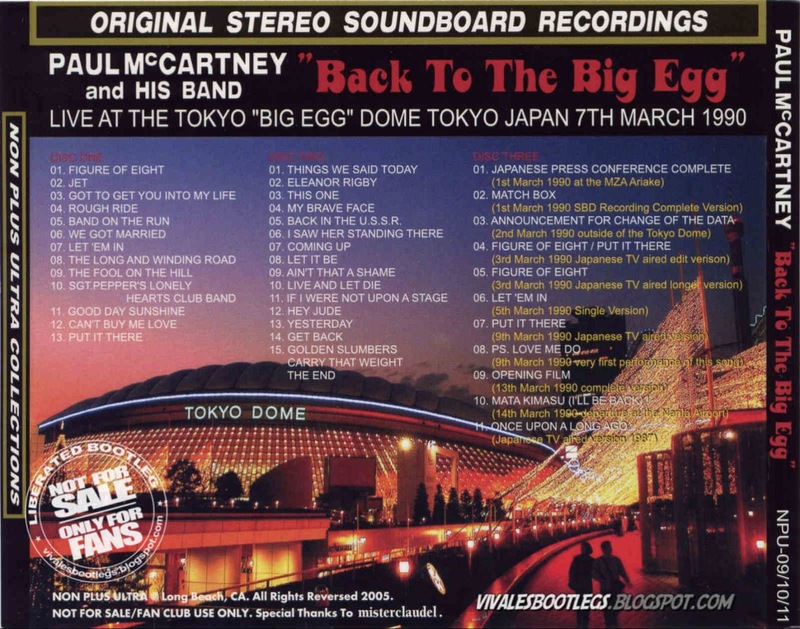 Personnel: Paul McCartney, Stuart, McIntosh Wix, Whitten, Linda McCartney. 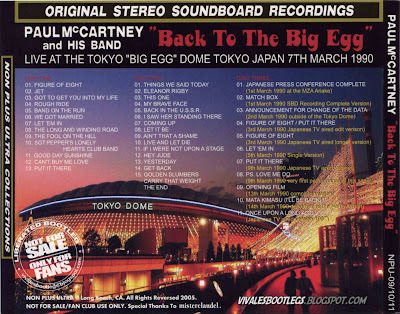 Notes: Live at the Tokyo "Big Egg" Dome, Tokyo, Japan - 7. March 1990 . 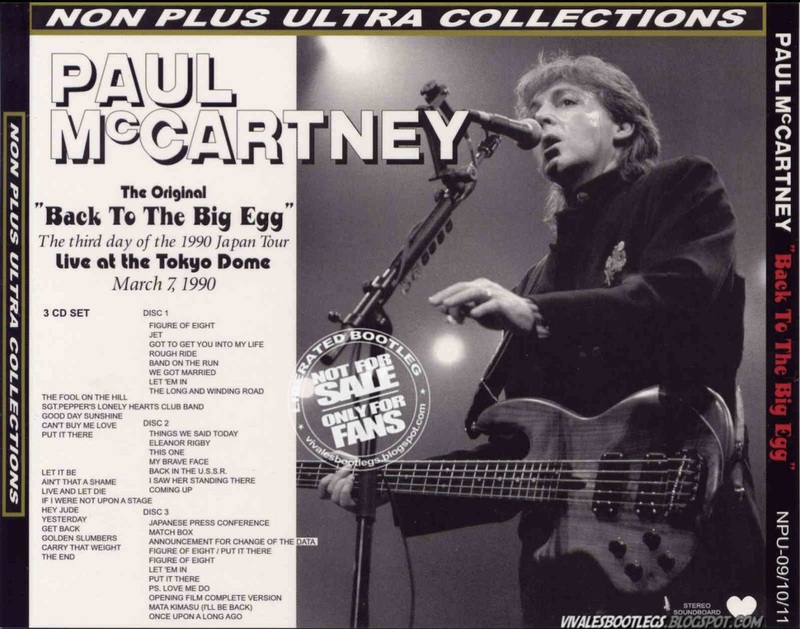 This is really great: a soundboard recording of a 1990 gig! Really great soundquality, nice collection of songs and a great third bonus cd (not included in this post, sorry) <- Info taken from bootlegzone dot com>.